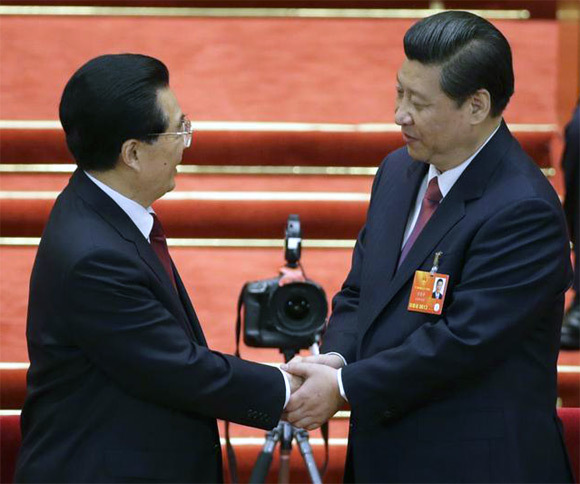 Xi Jinping was on Thursday named as China's new president and head of the military succeeding Hu Jintao, completing a generational transition of power in the world's most populous country. 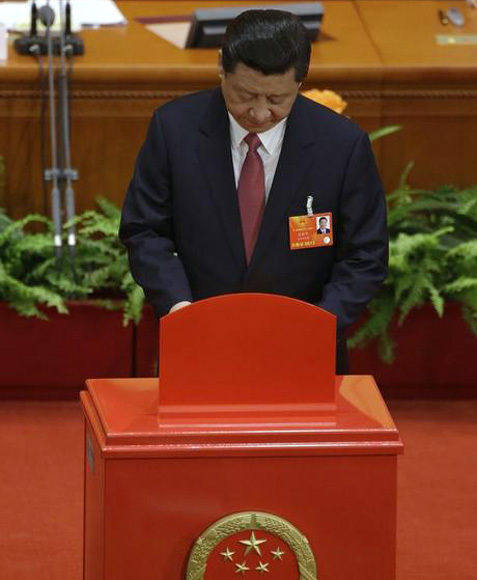 China's parliament formally elected Xi, 59, as president, four months after he took charge of the Communist Party. Besides being the general secretary of the Communist Party of China, which effectively rules the country, Xi has been appointed as the chairman of the powerful militarycCommission, when he was elected as the new leader of the party in November last. According to an official announcement, Xi was elected as president by a 3000-strong National People's Congress, which also endorsed his appointment as the chairman of the military commission. The military commission supervises 2.3 million-strong and the world's largest standing army called People's Liberation Army, incorporating the army, navy and air force. 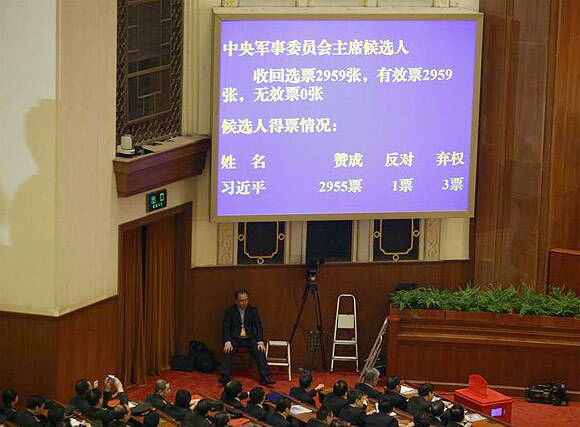 His election a formality as the NPC, dominated by the CPC functionaries completed the once-in-a-decade power transfer from the administration headed by Hu, 70, who along with team of leaders including Premier Wen Jiabao formally retires. With Thursday's election Xi has emerged as the most powerful leader in China as heads the country, CPC and the military. Also, the NPC elected Li Yuanchao, a reformist and politburo member of the CPC, as vice president. Yi who was reportedly picked by Xi ignoring pressures within the factions to energise the economic reform process to revitalise slowing economy. 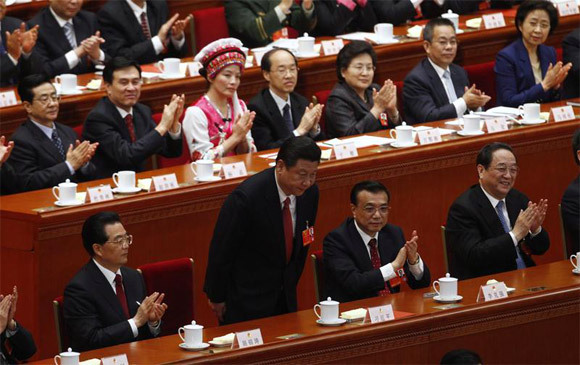 Widely regarded as smooth transfer of power, Xi along with the seven-member standing committee of the CPC which virtually rules the country completed over 100 days in the leadership running various public campaigns against corruption, austerity both in the government and military and revamping the administration by cutting down size of cabinet. Ahead of key CPC conference in November to elect Xi and his fellow leaders, the party suffered a major jolt when hard-line faction leader, Bo Xilai trying to resurrect old Mao Zedong ideology was sacked and later arrested on various charges including corruption. Bo's wife Gu Kailai has been given a suspended death sentence in the murder case of British national. Rising from a village head to a state leader, Xi carries the tag of a "hereditary" communist for being the son of a former deputy prime minister, who was later persecuted by party founder Mao Zedong. A graduate in Chemical Engineering from China's prestigious Tsinghua University, Xi served in a remote mountain village in Yanchuan County in the northwestern province of Shaanxi from 1969 to 1975 when he was only 16-years-old. His father Xi Zhongxun who served as deputy prime minister from 1959 to 1962, later fell out of favour with Mao for his moderate views and relegated to obscurity. As a moderate he was regarded as the mentor of Hu and Wen besides being the father of China's first SEZ, Shenzhen, which later became a huge success. 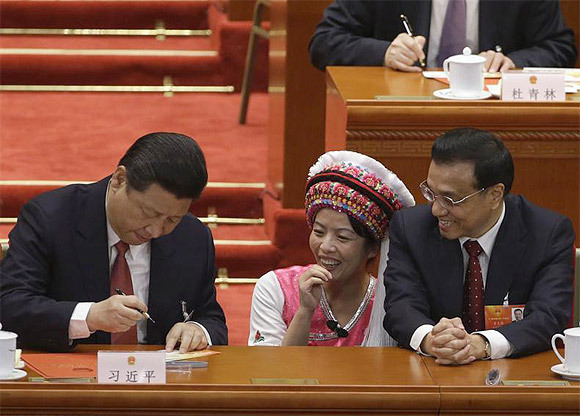 Besides being the son of a former top Communist leader, Xi became well known in China after he married Peng Liyuan, a famous Chinese folk singer. He had successful stints in power as the secretary of the Communist Party's Shanghai unit and won praise for successfully holding the 2008 Beijing Olympics. Xi and his team face the challenge of rebalancing the economy from export dependent to the one more relying on domestic consumption. China has set the growth target of 7.5 per cent for this year, the same as the last year, even though economy registered a 7.8 per cent growth in 2012.